12 Apr 2019 – A prominent Palestinian human rights activist and cofounder of the Boycott, Divestment, Sanctions (BDS) movement was denied entry to the United States on Wednesday [10 Apr], despite holding valid travel documents. 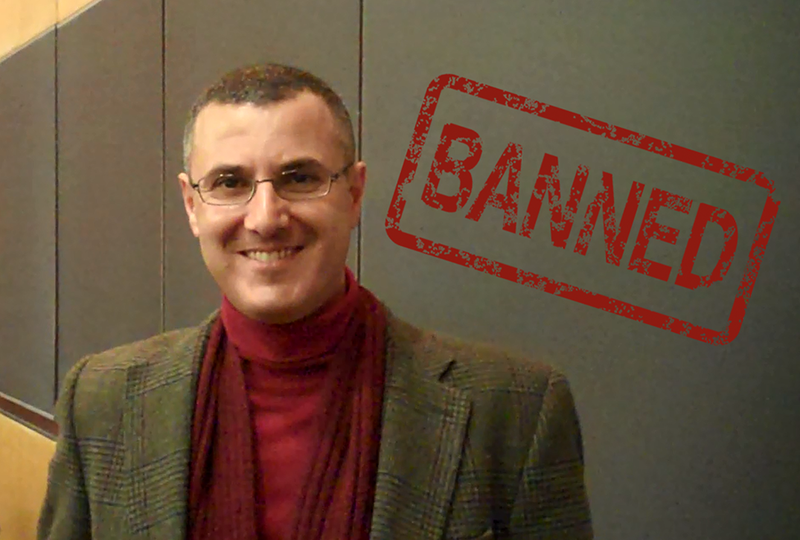 Omar Barghouti was travelling to the US on the invitation of Arab American Institute (AAI) in Washington, DC to speak at New York University’s (NYU) DC campus. Upon arrival at Ben Gurion Airport in Tel Aviv, Barghouti was told by airline staff that the US Consulate in the city was directed by US Citizenship and Immigration Services (USCIS) to deny him travelling to the US due to an “immigration matter”. “They just said it’s a ban by the US immigration service, nothing beyond that,” he told Al Jazeera. AAI’s president James Zogby said in a statement that “Omar’s denial of entry into the US is the latest example of the Trump Administration’s disregard for those rights”. The US embassy in Jerusalem and USCIS did not immediately respond to Al Jazeera’s request for a comment. “Free speech is under assault in order to shield human rights violators from criticism,” Khalili told Al Jazeera. “At a time when some members of Congress are advocating for regressive anti-BDS bills and resolutions, and when states have passed legislation targeting the non-violent boycott movement in violation of our protected First Amendment rights, it is disturbing that policymakers and the American people will not have the opportunity to hear from Omar directly about his views,” Zogby said.